This stopwatch with alarm function measures up to 100ths of seconds in the first 30 minutes. After that it measures whole seconds. Time out (start, stop, resume) function is included. 100 cumulative and split times can be stored in memory with your fastest and slowest times identified. The stopwatch features an interval option: you can manage your personal sports and rest periods. 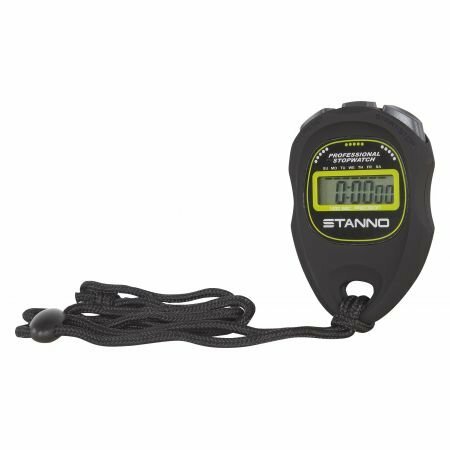 The stopwatch is waterproof and equipped with a lanyard.